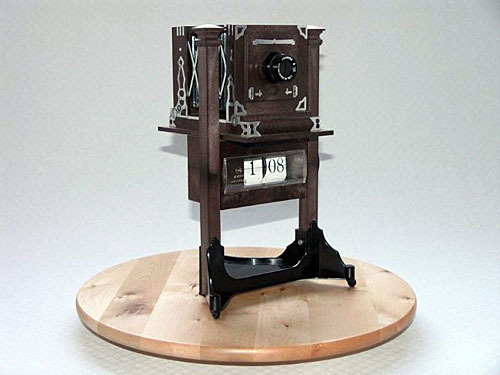 STUDIO CAMERA CLOCK. Not wood, not brass, not pre-1914, not English, but included because I think it's interesting. 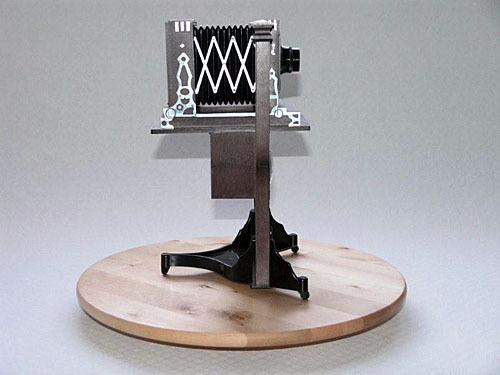 I haven't room for a studio mobile stand camera, so here is a model of one made by Asanuma, a firm founded in Japan in 1871, and now I believe a subsidiary of Copal. 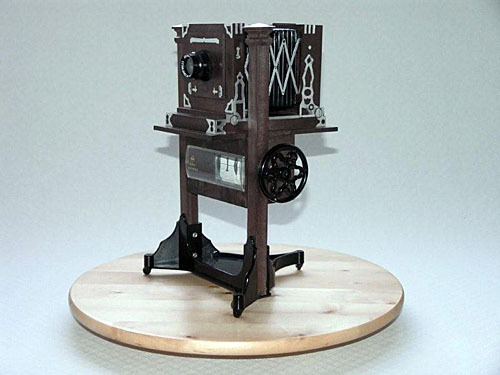 They manufactured photography-related novelty items, now rarely found, like this model studio camera/clock. This is noted among the non-camera items on p.1092 of McKeown as made by the Copal Co. Ltd.